Ozone has an important role in the sanitization and sterilization process environments and aging of dairy products, plants for packaging and preparation of milk and cheese, as well as for the sanitation of the preserving water for mozzarella and other types of cheese in dairies. Thanks to its oxidizing power, ozone permanently destroys germs, mites, organic micro-organisms, and molds (whose formation is favored by wet processing environments) without leaving any odor or toxic residue inside the aging rooms. Ozone is also useful to disinfect aging rooms from insects and parasites, and it is finally applied on the products themselves to combat harmful bacteria such as Listeria monocytogenes and mites. 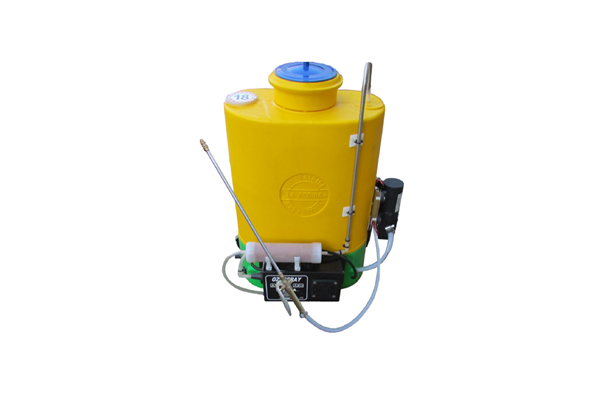 Backpack sprayer for ozonated water. Ozone is produced by a small system mounted on the body of the nebulizer and it is mixed within the 18 liters tank. Having the ozonizer installed on the nebulizer guarantees always highly active water and avoids the normal Ozone decay. It is a 12V sprayer all realized in ozone-resistant materials (stainless steel, moplen, Viton, etc.) with a maximum working pressure of 3 bar. Water mixed with Ozone (O₃) is a highly disinfectant product useful for the removal of bacteria moulds, spores, etc. both in agriculture and in the food industry (disinfection of surfaces such as walls, floors, worktops, cold storage rooms, etc.). Modular 220V system designed for the food industry and, in particular, for areas such as cold storage rooms, processing and packing rooms, laboratories and the like. 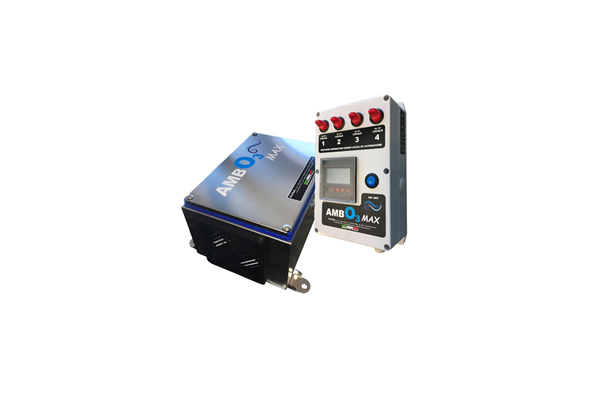 AMB O3 MAX is composed by a control module and a generation module (it is possible to have up to 4 generation modules for 1 control module). Through the control module you can set the treatment timings within the 24 hours and the 7 days of the week. The generation modules, installed on the ceiling of the room, diffuse Ozone thanks to fans. Being a modular system, it is extremely versatile and easy to install and use. 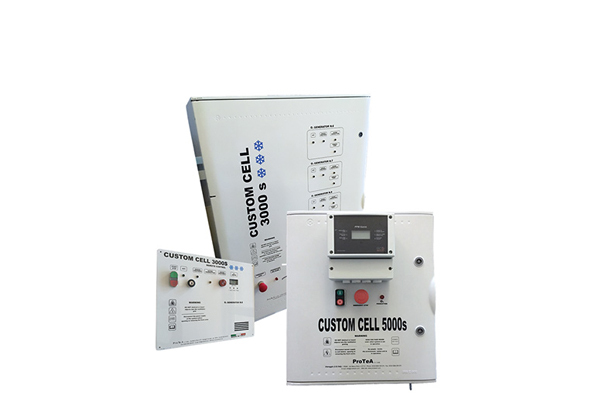 CUSTOM CELL is a line of products (220V) marked by Protea designed for the sanitation of the dairy industries. In addition to the disinfection of the cold room’s walls and surfaces, Ozone is able to eliminate ethylene (hormone held responsible for fruit and vegetables ripening) by lengthening foodstuff’s shelf-life. Moreover, Ozone avoids cross-contamination of bacteria/smells between among different types of foods and keeps parasites away by guaranteeing a high-quality maintenance of the products. Mini modular ozonizer designed by Protea for the disinfection of small environments such as cold storage rooms, small warehouses for the storage of foods, etc. 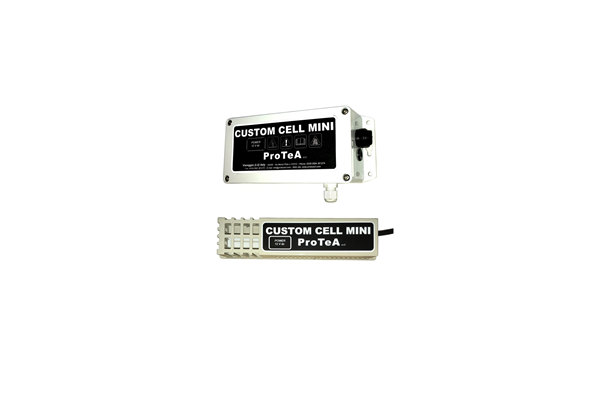 Custom Cell Mini is composed by a control module and a generation module (Standard Kit). A unique control module is able to manage up to 4 generation modules (additional modules to be added to the Standard Kit). The Ozone kit is supplied with everything you need for the installation (junction box, connection terminals, mounting brackets, fixing screws, etc.). 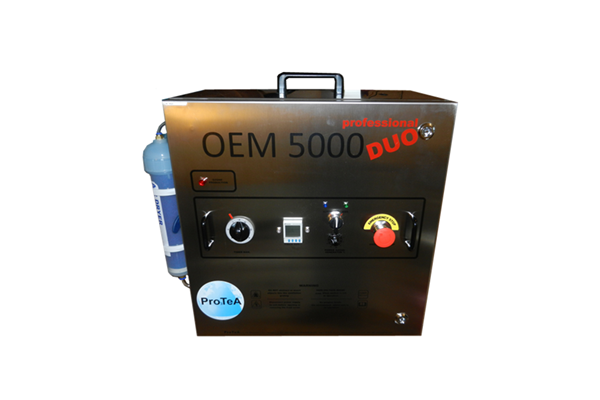 Systems of the OEM PROFESSIONAL product line are able to produce Ozone for the treatment of both air and water (in tank). In addition to the deep sanitation of the areas, the system guarantees a high level of disinfection even in those places that are hardly reachable with the ordinary cleaning. OEM PROFESSIONAL systems are particulary indicated for Food & Drink Industries since they prevent the formation of bacteria, mites, odours (eg. Ammonia), spores, moulds and so forth. Their use is extremely simple and safe and refills or particular maintenance over time is not required.